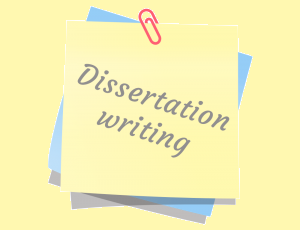 A dissertation can be understood as the form of written document that outlines and sums up the extensive research. A dissertation is the final trail of the program- PhD. The dissertation is known to be a zenith of the doctoral study of students that displays the successful completion of an encompassing exam. For the doctoral students a dissertation is a stream of credit and consideration. The purpose of a dissertation is to develop a fresh and original piece of research work with a well- defined topic. Generally a dissertation is quite a significant piece of autonomous work in the undergraduate program .A dissertation is no doubt a rewarding piece of work but it can also be the difficult and tiring task for a student as well. Write an alluring proposal for your dissertation – Dissertation proposal is the initial and most crucial step of dissertation writing. A dissertation proposal is a formal document showcasing the research made by a student in support of his/her academic degree qualification. It introduces and outlines the research goals and submits the investigation method initiated by the student in writing a dissertation. The dissertation proposal should be effective enough to impress the concerned committee members. The proposal should be capable to persuade the authorities that you are going to execute a valuable academic piece of work. The topic must be chosen wisely as it indicates certain soft skills of the student. Carry on effective and fruitful research – Conducting an effective research is very crucial for drafting an impactful dissertation. The research and data collection phase determines the overall outcome of a dissertation. The research should be conducted wisely as irrelevant information and data collection will only result in wastage of time and efforts. There are many resources of research and analysis nowadays such as the internet. Students must skim through the data available and collect the most relevant information regarding the topic of the dissertation. Research is considered to be the core of a dissertation so keen research should be conducted before writing. Start drafting the dissertation – Drafting the dissertation is the next step involved in the process of dissertation writing. The collected data and research must be arranged and compiled in an organized manner. Proper care should be devoted to the use of formal and appropriate language in the dissertation. The use of slangs and informal language must be avoided as their appearance degrades the quality of dissertation. All efforts should be made to craft a peerless piece of dissertation. The writing style should be impressive enough to catch the attention of committee members in just a glance. Proofread the dissertation minutely – After concluding the writing section the next step comprises editing and proofreading. The editing and proofreading part is considered to be the backbone of a dissertation. One must read and revise the dissertation in detail so that the errors can be rectified as soon as possible. Proofreading plays a very important role in making a dissertation error-free. One must devote proper time to conduct proofreading and editing of the dissertation. There must be a gap of sometime between writing and editing as it will prove to be more beneficial in recognizing the errors. Get response and feedback – Getting feedback from friends and teachers who hold the knowledge regarding that discipline is the concluding step in dissertation writing. This segment is quite important as it lets you review your dissertation from someone else’s viewpoint. It helps in carving the excellent form of dissertation. Before submitting the dissertation one must get a feedback in order to eradicate any weak points. It will also help in improvising the dissertation writing in an effective way. One must understand that writing a dissertation is not a quite easy task. All the efforts must be made to craft a fruitful dissertation. It requires various skills to craft a peerless one. 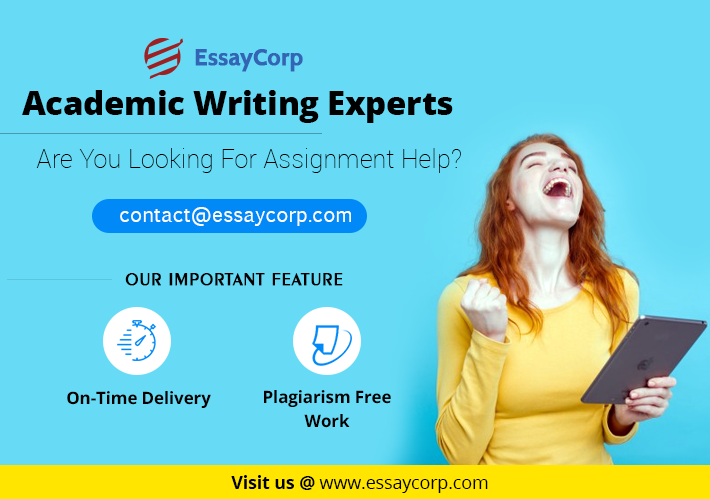 EssayCorp is the ultimate platform to seek help with your dissertation writing or any other assignment issue. We engage subject matter experts to give you the perfect results. We understand the urgency of students that is why we deliver the assignments before the deadline. We assure you hundred percent plagiarism-free work without any error. Our experts are available round the clock to assist you anytime.